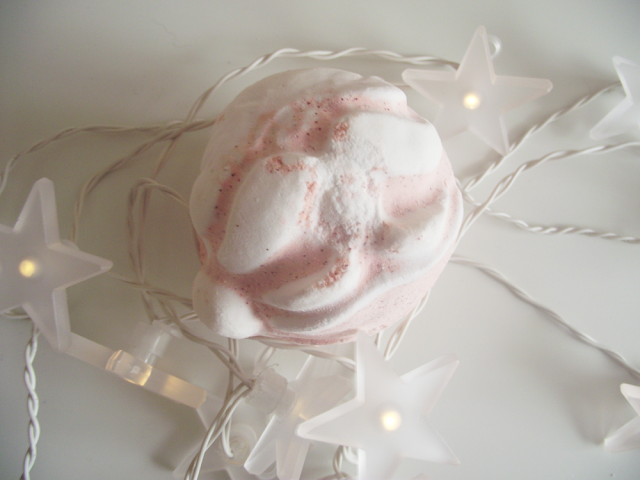 Christmas isn't complete unless you have a little festive pampering from LUSH. I love looking at their Christmas range each year, what with the anual return of their famous Snow Fairy shower gel. This year I have been indulging in quite a few bubble baths thanks to the delightful Bubblebeard bubble bar. 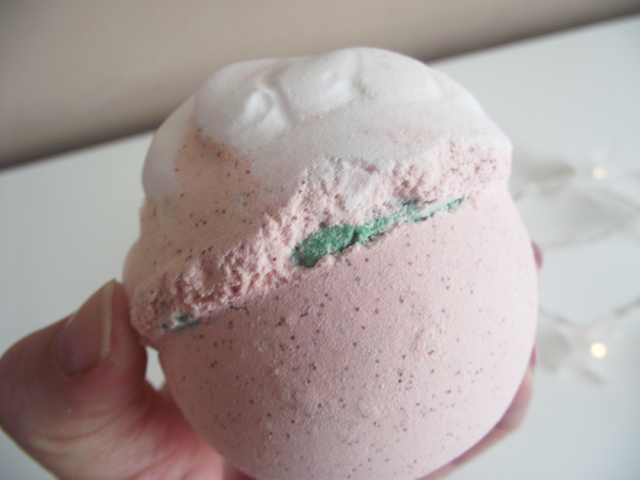 I know almost all Lush products smell Lush but this is just amazing, I love the sandalwood aroma it gives. 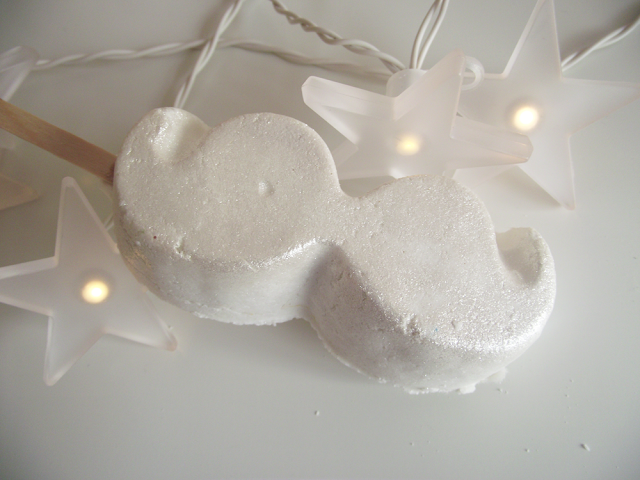 I adore the moustache shaped bubble bar, very reminiscent of Santas. You may be thinking why the stick? 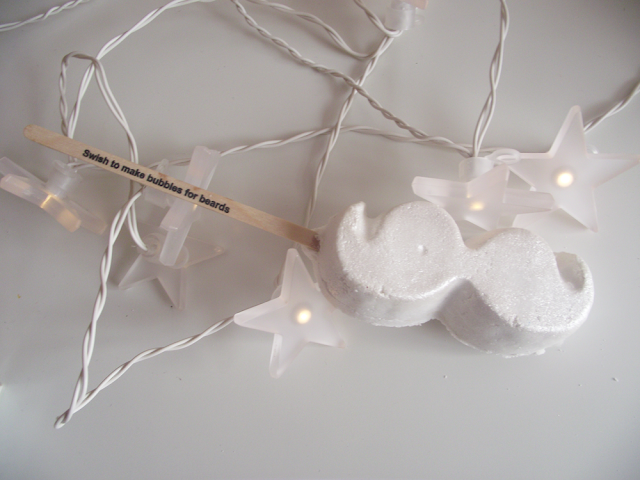 Well this bubble bar can be re-used over and over again, you'll be surprised how many bubble baths you can get from one moustache! Using the stick you simply swish your Bubblebeard under hot running water and watch the glistening bubbles rise. Once you're happy with your mountain of bubblebeard bubbles you can put the bubble bar back on the side ready for it's next use. Simples. I love the smell it leaves my bathroom. 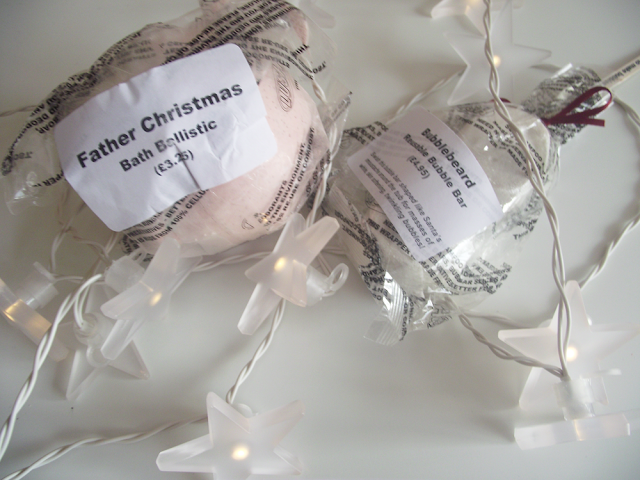 My children both enjoyed the Father Christmas bath ballistic, he is a nice hefty size. Once in the bath Father Christmas fizzes away to reveal a jolly bright green festive colour. If you pop into Lush this Christmas make sure you pick one of these up, this is Christmas all in one! Santa, red, green, glitter and smell of mandarins! Doesn't get better than that, you just need a glass of Mulled Wine and a cheeky mince pie to enjoy whilst relaxing in your green glittery bath! Have you been picking up any of the Lush Christmas range?? If you have any recommendations please let me know!! !